The 10th signature shoe of Carmelo Anthony has been turning heads since it hit the sneaker market. If you are still looking for a new sneaker, then the latest colorway of this model should be on top of your list. 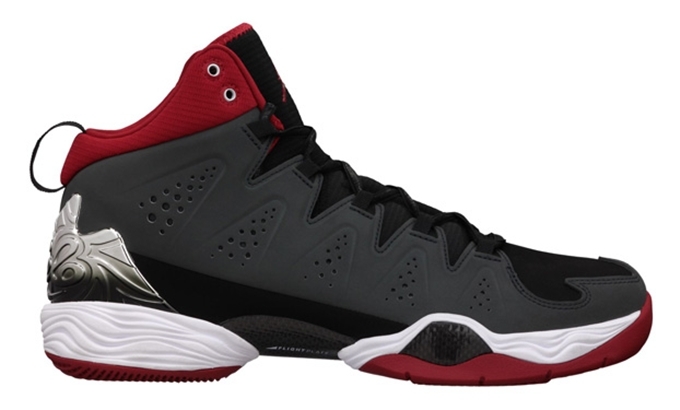 Now available on the sneaker market is the Anthracite/Gym Red-Black-White colorway of the Jordan Melo M10. This sneaker features an anthracite grey-based upper part accented with red, white, and black hints. You can now get your hands on these kick now in Jordan Brand accounts all over the world for just $165 per pair.